Here are some common questions to ask auto transport companies when shopping for the best car transport service for your move. The information below should help answer any queries you have when comparing car shipping companies. These days most reputable car shipping companies have a website. One of the best things about a car shipping website is that you will get a good idea of the car transport services the business offers and there will most likely be an FAQ page which can help answer any questions you have about shipping with that company. Is car shipping insurance included? Car transport companies vary widely, and insurance is important. You should ask what sort of auto transport insurance will be included in your car shipping quote. How are your car shipping rates determined? Of course, you will want to know how much the car shipping cost to your destination will be. So be sure to get a firm price, including taxes, before employing a car shipping company. Do you have a Federal Maritime Commission License? Auto shipping companies need to have an FMCSA license when shipping overseas, so if you are using this service, check that the business has the appropriate licenses. 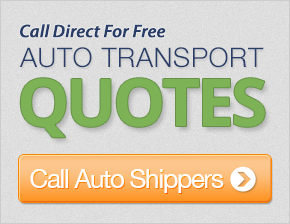 Do you offer free car shipping quotes? Some auto transport companies will charge you for a auto shipping quote. Make sure the business you are using will provide you with a free quote. What documentation do I need to provide when shipping my car? It's important that you are prepared on the day of the shipment with all the right documentation so your car transport goes off without a hitch. Inquire in advance so you can have all the paperwork ready. When will my car arrive at its destination? The length of the car shipping process will depend on your origin and destination, but the car transport company should be able to provide you with an approximate delivery date and time. How will you be moving my vehicle? Different companies will utilize different auto transportation methods to get your vehicle to its destination, depending on the location of your vehicle and its destination. That means your car could be transported via trains, air, road or sea. When shipping on land, transport companies can use either open carriers or enclosed trailers for the move, and you may have a specific request about what you will want to use. Do I have to be available for pickup and collection? Most car transporters will require someone to be available to collect the keys and complete an final vehicle inspection report. Car movers are usually on a tight schedule, so ensure that you have someone available at your specified collection time. Can you move jet skis, boats, RVs and motorcycles? Some auto transport companies are able to move vehicles other than cars. Its a good idea to call around and see which auto transport companies specialize in the particular vehicle you own. Can I load my car with personal belongings during auto transport? Most car shippers will not allow you to keep personal items in your vehicle for liability purposes. You will likely be required to empty your car; however, you can leave the spare wheel and jack in the vehicle during auto transport.